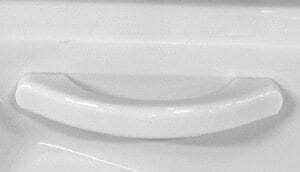 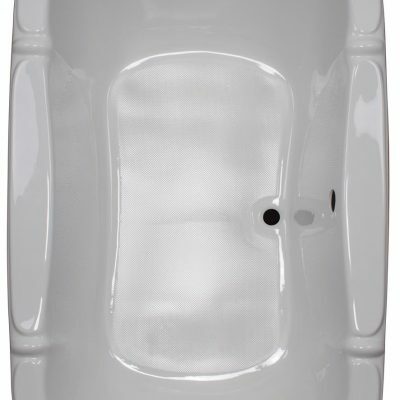 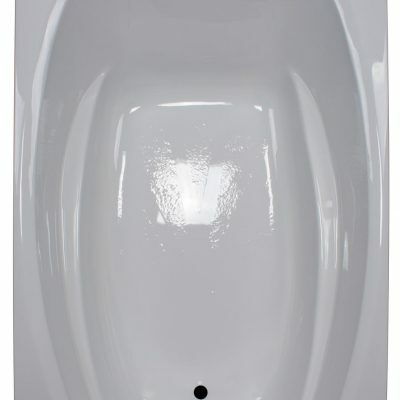 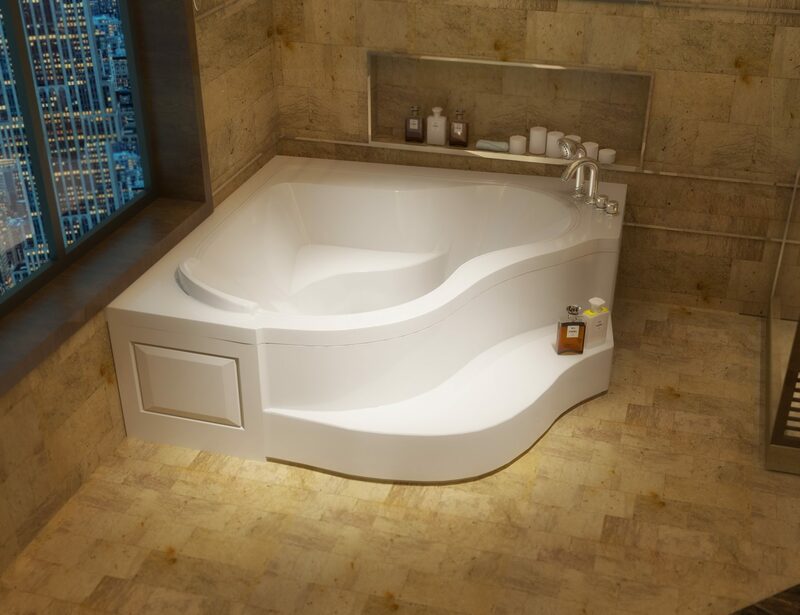 The 60″ x 60″ Corner Bathtub from American Acrylic is made from premium-quality acrylic to ensure optimum strength and durability. 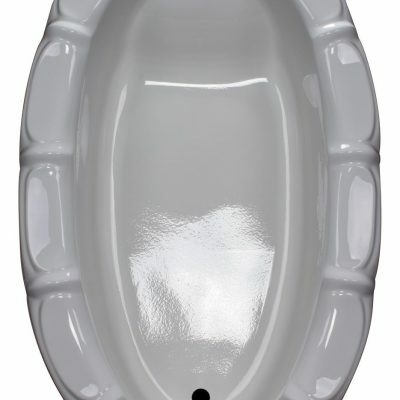 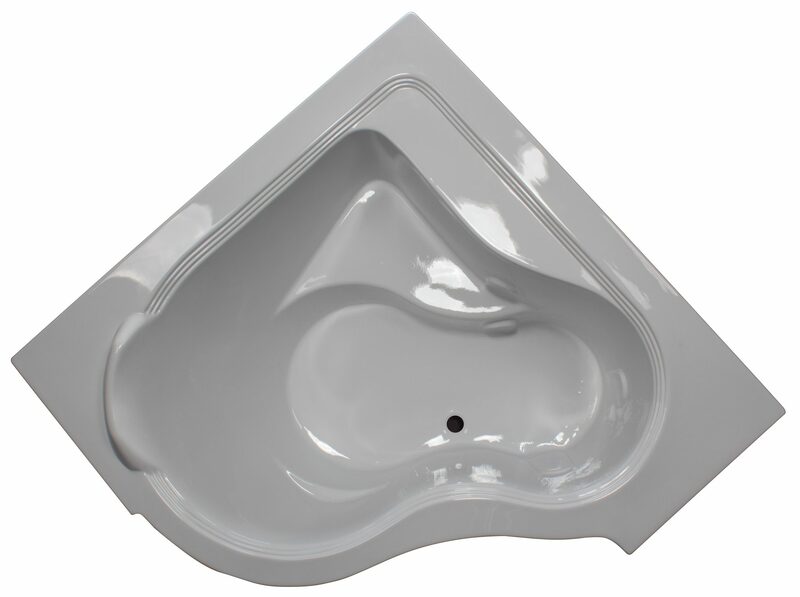 It is offered in a range of finishes, which can be chosen to blend with your bathroom decor or color scheme. 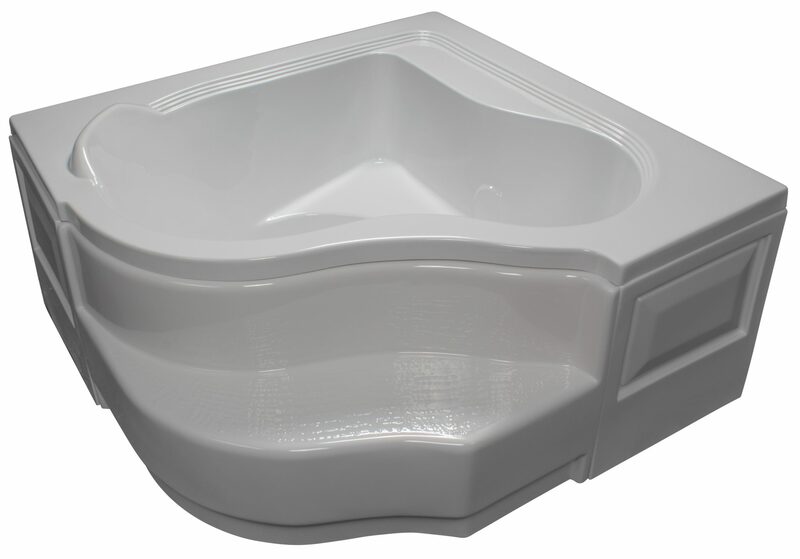 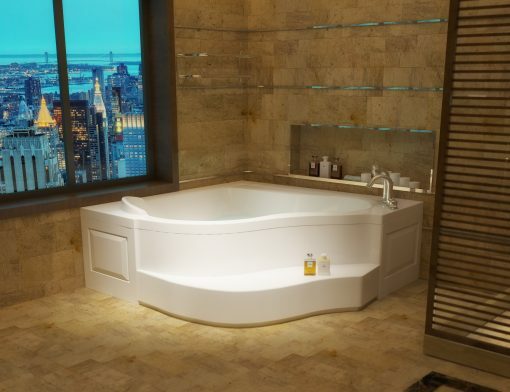 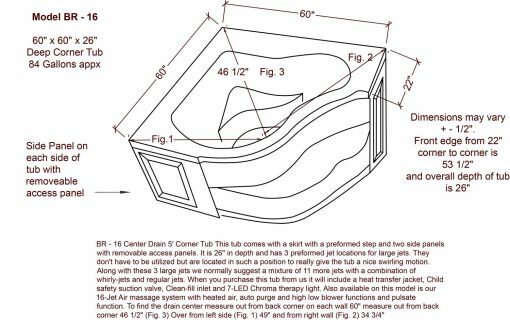 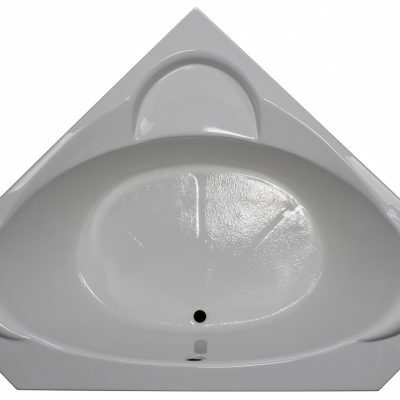 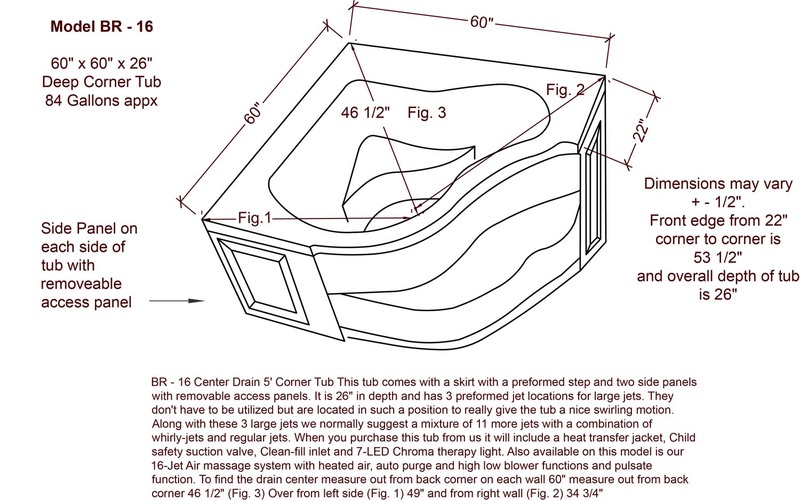 This bathtub has an oval shape, and can easily hold up to 42 gallons of water at a time. 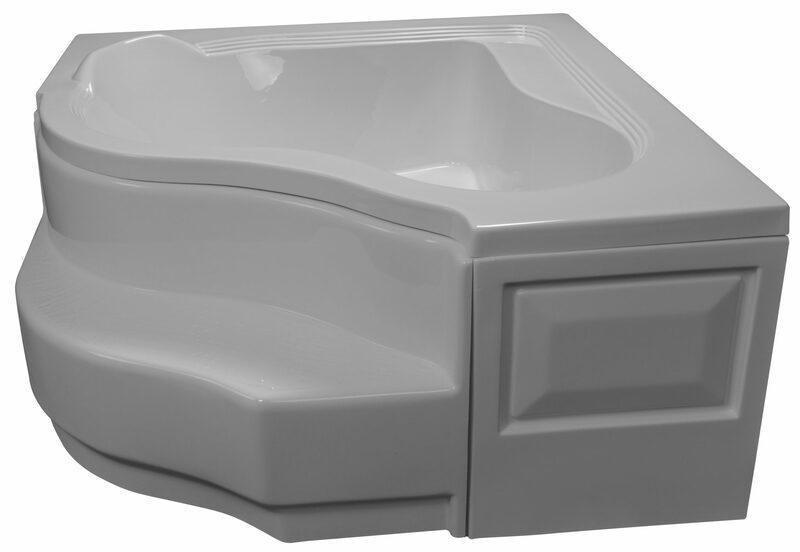 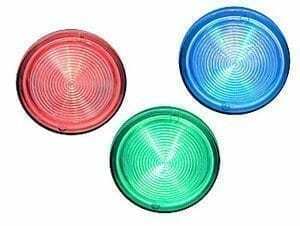 It is slip, scratch, rust, chip, tarnish, fire, and stain resistant to ensure years of durable use. This bathtub is anti-microbial to assure that it remains free of common germs, bacteria, and microbes that tend to build up in moisture-laden places.